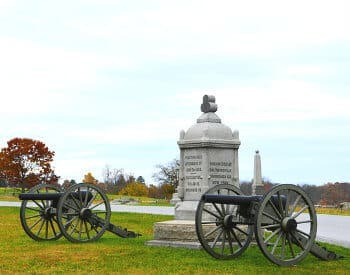 One of the best ways to experience all that this area has to offer is by taking advantage of a Gettysburg travel package at the Brickhouse Inn. 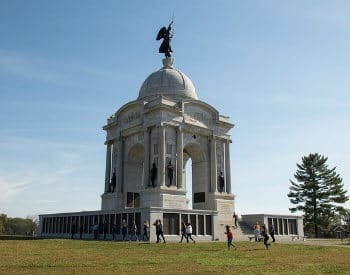 From romance packages to historic tours of Gettysburg and Washington DC to Gettysburg ghost tours, we have something for everyone. All the packages are in addition to room rates. Please note that package prices changed in 2017 because the guide fees increased, as did the entrance fee for the Visitor Center. Let us know if there is anything special you would like us to do for you! Because the lodging in this package is discounted, the package must be booked directly through the Brickhouse Inn, not through a booking agency. Cannot be purchased with a discount gift card, or used on special weekends such as New Year’s or Valentine’s. 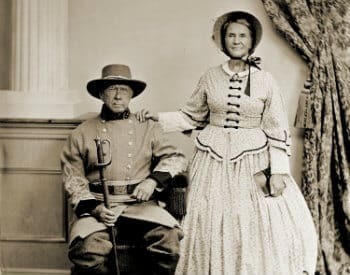 An authentic Victorian photo (in Civil War period costume). A $50 dinner certificate at the historic Dobbin House restaurant. 2 hot fudge sundaes at Sunset ice cream parlor. Escape the everyday for an evening of romance. 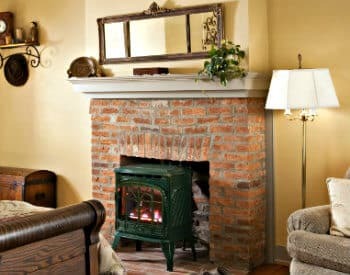 Let the charm of a bygone era embrace you as you dine at the historic Dobbin House restaurant with a $50 gift certificate. 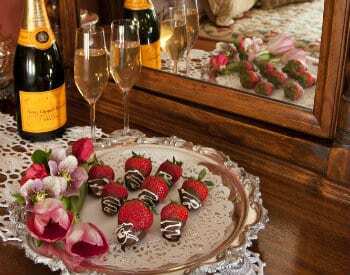 After dinner, enjoy a bottle of chilled wine in our beautiful garden or in the comfort of your room, with a decadent array of chocolate-dipped strawberries and rose petals on the bed for that romantic touch. 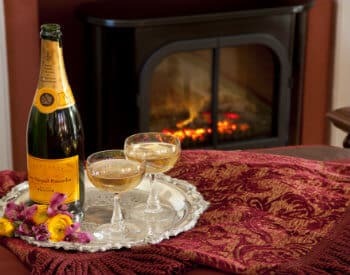 To celebrate with that special person for a romantic evening and share a chilled bottle of wine before or after dining at the historic Dobbin House restaurant (a three-minute walk from the inn) with a $50 certificate – we’ll also place a bouquet of flowers in your room on arrival. June, September and October (Tuesdays & Wednesdays); July and August (Tuesday, Wednesday & Thursday). 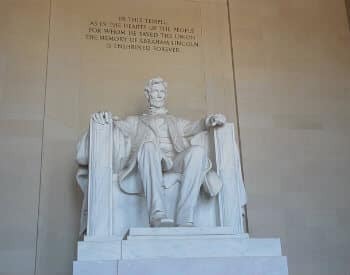 Enjoy a one-day narrated motor coach tour to DC with a professional licensed guide. Experience a day of memorials, museums, & memories – our country’s history and national treasures. Stops at Iwo Jima Monument, WW2 Memorial, Lincoln Memorial, Vietnam, and Korean War Memorials. You’ll have over three hours of free time at the National Mall, near the Smithsonian. 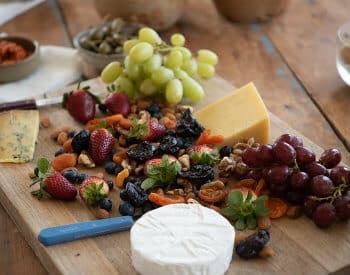 On your return journey enjoy an evening buffet at Thurmont (near Camp David). We will provide a bag breakfast. 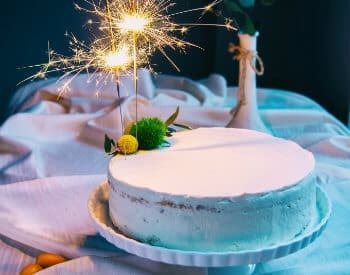 A delicious birthday cake, a chilled bottle of wine, and a $50 dinner certificate and reservation for the historic Dobbin House Restaurant.